Coach Sean McDermott stated Tuesday that the Bills did not make any deals on the NFL's deadline day, Joe Buscaglia of WKBW.com reports. 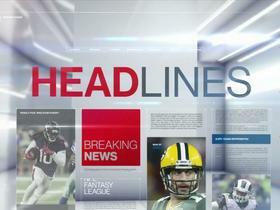 Benjamin and running back LeSean McCoy had been possible trade targets. Benjamin caught four of five targets for 71 yards in Sunday's 37-5 loss to the Colts. Analysis: Not much went right for Buffalo in this one, but Benjamin's chemistry with new quarterback Derek Anderson was encouraging. After failing to produce more than three catches or 43 yards in a game this season, Benjamin set new season highs in both categories. If rookie quarterback Josh Allen (elbow) sits as expected against the Patriots in Week 8, Benjamin could be back on the fantasy radar. With Josh Allen (elbow) ruled out for Sunday's game against the Colts, Benjamin will earn targets from new starting quarterback Derek Anderson in Week 7. Benjamin caught two of six targets for 43 yards during Sunday's 20-13 loss to the Texans. Analysis: Benjamin led the team in receiving yardage on the day and actually posted a season high in that department, thanks in large part to a 39-yard gain in the third quarter. The fact that such a modest output ranks as his best showing of the season says a lot about the state of Benjamin's fantasy value, which could take a further hit if Josh Allen (elbow) is forced to miss time after suffering an injury. He'll next face off against the Colts on Sunday. Benjamin caught one of five targets for 11 yards in Sunday's 13-12 win over the Titans. Analysis: With shaky pass protection and an inaccurate rookie under center in Josh Allen, Buffalo's downfield passing game is practically nonexistent at the moment. The 6-foot-5 Benjamin will be nothing more than a touchdown-dependent flex option against Houston in Week 6. Benjamin (head) returned to Sunday's game against the Packers, Chris Brown of the Bills' official site reports. Analysis: Benjamin was forced out of Sunday's game against the Packers to be evaluated for a head injury, but he was later able to return. He checks back into the contest with with one catch on six targets for 34 yards. Benjamin exited Sunday's game against the Packers to be evaluated for a head injury, Chris Brown of the Bills' official site reports. Analysis: Prior to his exit from the contest, Benjamin hauled in one of his six targets for 34 yards. Next up for the team's wideout looks are Andre Holmes, Zay Jones and Robert Foster. Bejamin caught three of five targets for 29 yards during Sunday's 27-6 win over the Vikings. Benjamin (hip) practiced fully for a second straight day Friday and does not have an injury designation for Sunday's game in Minnesota, the Bills' official site reports. Analysis: Benjamin has to be one of the least attractive options of all the No. 1 receivers in the league given his own disappointing play so far (3-29-1) over two games to go with a struggling offense and a rookie quarterback, but perhaps the heavy underdog Bills might be playing from behind much of Week 3 and he'll get a lot of volume. Benjamin (hip) logged a full practice Thursday. Analysis: Per Mike Rodak of ESPN.com, Benjamin called himself a "full go" for Week 3 earlier Thursday, and the wideout's participation level in practice aligns with that. His health doesn't appear to be much of a concern heading into Sunday's game against the Vikings, but the matchup against a tough defense in addition to the shaky state of the Bills' passing game puts a damper on Benjamin's fantasy prospects. Benjamin said that his hip injury isn't affecting him "at all" and he expects to be a "full go" for Thursday's practice, Mike Rodak of ESPN.com reports. Analysis: Benjamin turned in a limited practice to begin the week, but based on his comments, it sounds like he'll upgrade to full participation Thursday. If that's the case, Benjamin would likely face no restrictions heading into Sunday's game against the Vikings, but he makes for a dicey fantasy option given Minnesota's tough secondary and Buffalo's poor quarterback play through the first two weeks of the season. Bills head coach Sean McDermott said that Benjamin is recovering from a hip injury and will be a limited participant in Wednesday's practice, Joe Buscaglia of WKBW.com reports. 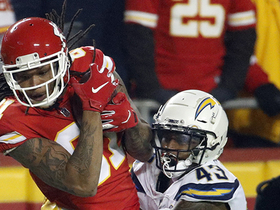 Benjamin caught two of three targets for 19 yards in Sunday's loss to the Chargers, including a three-yard touchdown catch in the fourth quarter. 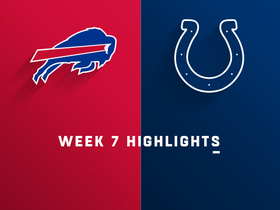 Analysis: The score is the Bills' only one through two games in the air. While it's nice that quarterback Josh Allen should look his way as a primary option in the red zone, this is an offense that could struggle all season with a rookie quarterback and a weak offensive line. At least Benjamin appears healthy, and the Bills did finally start to get some mojo going with Allen in the second half. Benjamin was given a rest day for Friday's practice but is not on the injury report for Sunday's game against the Chargers, the Bills' official site reports. Benjamin caught one of seven targets for 10 yards during Sunday's 47-3 loss to the Ravens. 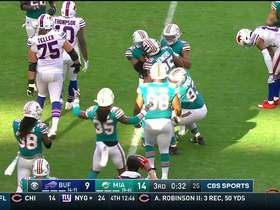 Analysis: This offense looks like it's going to be tough on Buffalo's receivers. Nathan Peterman has been a turnover machine since coming into the league, while rookie Josh Allen has a ton of talent, but still needs polish and neither look great behind this offensive line. That's bad news for downfield threats like Benjamin. Benjamin (knee) is in uniform for Friday night's preseason game against the Browns, Sal Capaccio of WGR Sports Radio 550 reports. Analysis: The wideout appeared to be dealing with some knee soreness earlier in the week, but his presence on the field Friday suggests that the issue was minor. Benjamin was sporting an ice pack on his right knee after taking limited reps at Wednesday's practice, Mike Rodak of ESPN.com reports. Coach Sean McDermott says Benjamin has looked healthy throughout OTAs, appearing leaner, stronger and faster than in 2017, when he was injured for much of the campaign, Dominic LoVallo of the Bills' official site reports. Bills head coach Sean McDermott said Thursday that Benjamin has been "practicing fully" and is "off to a good start" during OTAs, Vic Carucci of The Buffalo News reports. The news continues to be all positive on Benjamin after the receiver had issues with his knee for much of the 2017 season, Dominic LoVallo of the Bills' official site reports. "I definitely want to come in and make this one of my best OTAs, you know, since I've been in the league," said Benjamin. "It's the right weight in the right places. I just leaned up around the waist, the abs are back out, stronger in my legs, you know and I'm stronger in my knees." Analysis: Benjamin has been given a clean bill of health following offseason surgery and also plans to play this season a bit leaner. He'll enter the season as the team's clear-cut No. 1 receiver, though he'll have clouds hanging over his fantasy value, given that this team operates more as a run-based offense and currently doesn't even know which quarterback will be throwing most of its passes in 2018. Benjamin (knee) was a full participant Monday as the Bills began their offseason workout program, Chris Brown of the team's official website reports. "Kelvin came in and it looks like he's ready to go," said Bills coach Sean McDermott. "Like the rest of our offensive players he was here today and getting used to a new scheme and a new system." Head coach Sean McDermott said he expects Benjamin (knee) to be ready for the Bills' offseason conditioning program in April, Chris Brown of the team's official site reports. Benjamin is slated to undergo offseason surgery on his meniscus, News 4 Sports reports. Benjamin brought in one of two targets for nine yards in Sunday's 10-3 AFC wild-card loss to the Jaguars. Benjamin (knee) does not carry an injury designation for Sunday's playoff game against the Jaguars. Benjamin (knee) was a limited participant in Wednesday's practice. Analysis: Benjamin was also limited in practices last week, but ultimately suited up for the Bills' regular-season finale against the Dolphins, hauling in two of three targets for 27 yards in that contest. The nagging meniscus injury will likely result in Benjamin's practice reps being capped for the duration of the Bills' postseason run, but it's not expected to cost him any games. He has already indicated that he'll forgo surgery to address the matter until the offseason. Benjamin (knee) doesn't have an injury designation for Sunday's contest at Miami. Analysis: Since returning to action Week 14, Benjamin has parlayed between 59 and 74 percent of the snaps on offense in a given game into a combined 10 catches (on 17 targets) for 128 yards and one touchdown. With a playoff berth in the line this weekend, the Bills likely will look to Benjamin early and often against the Dolphins' 17th-ranked pass defense, despite continued maintenance of his knees. Benjamin (knee) is expected to play Sunday in Miami after practicing on a limited basis Thursday and likely Friday as well, Chris Brown of BuffaloBills.com reports. "It's looking good," coach Sean McDermott said Friday. "He's on track, much like he was last week." Benjamin (knee) was on the field for individual drills during the portion of Thursday's practice available to the media, Mike Rodak of ESPN.com reports. Analysis: The Bills won't reveal Benjamin's level of practice participation until later Thursday, but since he didn't do any individual work Wednesday, it would seem that he's increasing his activity. Benjamin is going to be less than fully healthy for the Week 17 matchup with Miami and the Bills' potential playoff run, but it appears he plans on playing through a partially torn meniscus and delaying surgery until the offseason. Bills head coach Sean McDermott said that Benjamin (knee) won't practice Wednesday, Chris Brown of the Bills' official site reports. Benjamin (knee) caught five of seven targets for 70 yards in Sunday's 37-16 loss to New England. Analysis: The wideout caught a tough break just before halftime, as Benjamin appeared to drag his second foot in the corner of the end zone and left a mark on the turf, yet the officials decided there was conclusive evidence to overturn the touchdown called on the field. Benjamin figures to be limited at practice next week, but the big-bodied wide receiver will almost certainly suit up next week in Miami with the 8-7 Bills still alive in the playoff hunt. Benjamin (knee) is listed as active for Sunday's game against the Patriots. Analysis: Benjamin will continue to tough things out at less than 100 percent, while operating in the context of the Bills' less-than-dynamic passing attack. He's coming off a two-catch (on as many targets), 20-yard effort in Week 15's win over the Dolphins, but as the team's de facto top wideout he figures to see more looks Sunday against the Patriots, provided his knee holds up. Benjamin (knee), who is listed as questionable for Sunday's game against the Patriots, is expected to play, Ian Rapoport of NFL Network reports. Benjamin (knee) will be limited at practice Friday and listed as questionable for Sunday's game against the Patriots, Chris Brown of the Bills' official site reports. Analysis: The report adds that coach Sean McDermott indicated Benjamin had a good day at practice Thursday, so barring any setbacks, we'd expect the wideout to suit up for Sunday's 1:00 ET kickoff. That said, in such a scenario Benjamin figures to tough things out at less than 100 percent and will operate in the context of the Bills' less-than-dynamic passing attack. The Bills list Benjamin (knee) as a limited participant for Thursday's practice. Benjamin (knee) is taking part in positional drills as the Bills begin practice Thursday, Mike Rodak of ESPN.com reports. Bills head coach Sean McDermott said Benjamin (knee) won't practice Wednesday and is considered day-to-day ahead of Sunday's game against the Patriots, Mike Rodak of ESPN.com reports. Benjamin (knee) nabbed both of his targets for 20 yards during Sunday's 24-16 win over Miami. 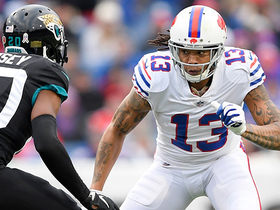 Analysis: Slowed by a knee injury, Benjamin has not been the alpha receiver the Bills had hoped for following a mid-season trade with Carolina. 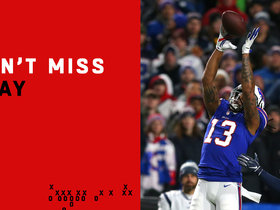 The big-bodied target remains hobbled and has just nine catches for 120 yards in four games with the Bills. The Bills offense leans heavily on the run and interior pass game, so don't expect things to get much better for the 2014 first-round pick. Next up comes a New England defense that gave Buffalo fits in Week 13 when Benjamin was out of the lineup. Benjamin (knee) said he will have meniscus surgery after the season, Matthew Fairburn of Syracuse.com reports. Analysis: Benjamin sat out for two games after tearing his meniscus Week 11, then aggravated the injury during a Week 14 win over the Colts. He was able to play in Sunday's 24-16 win over the Dolphins, but the hulking wideout accounted for just two of his team's 28 targets. While he apparently plans to play through the injury for the rest of the season, Benjamin probably won't be the best version of himself, making him a tough fantasy play in a run-heavy Buffalo offense. Benjamin (knee) is listed as active for Sunday's game against the Dolphins. Benjamin (knee), who is listed as questionable for Sunday's game against the Dolphins, is hopeful to play, Ian Rapoport of NFL Network reports. Benjamin (knee) is listed as questionable for Sunday's game against the Dolphins after practicing in a limited fashion all week. Analysis: Benjamin, who aggravated his right knee injury during the Week 14 win over the Colts, is the only Bills player who draws a questionable designation this week. That said, Mike Rodak of ESPN.com relays that the wideout seems prepared to tough things out and play Sunday. The Bills kick off at 1 p.m. EST, which allows those considering Benjamin in Week 15 lineups a degree of flexibility, given that by that time, only six NFL teams will have already played. Benjamin (knee) was listed as a limited participant in practice Thursday, Chris Brown of the Bills' official site reports. Bills head coach Sean McDermott said Benjamin (knee) would be a limited participant in Wednesday's practice, Chris Brown of the Bills' official site reports. Bills head coach Sean McDermott didn't have an update on Benjamin's knee injury Monday, merely saying that the wideout is still being evaluated, Jay Skurski of The Buffalo News reports. Analysis: Benjamin returned from a torn meniscus for Sunday's 13-7 win over the Colts, catching three of eight passes for 38 yards and a touchdown prior to exiting in the fourth quarter. His post-game comments suggested he believes the setback to be minor, but there's apparently still a need for more testing. Zay Jones, Deonte Thompson and Andre Holmes would all be candidates to take on added snaps and targets if Benjamin were to miss a Week 15 date with the Dolphins. Benjamin acknowledged that he aggravated his knee injury during Sunday's 13-7 overtime win over the Colts, Mike Rodak of ESPN.com reports. Benjamin was forced out of Sunday's game against the Colts with a knee injury. Analysis: Though the game is being played in wintry conditions and has been run-heavy, Benjamin managed to catch three passes for 38 yards and a TD prior to his exit. Benjamin (knee) is active for Sunday's game against the Colts. Analysis: Bad weather and a rookie quarterback and a lack of experience with his new team will all put a damper on Benjamin's expectations after missing the last two weeks, though at least he'll be out there and likely starting against one of the league's worst defenses. Benjamin (knee) was a full participant at Friday's practice and doesn't have a designation on the final injury report for Sunday's game against the Colts. Analysis: As expected, Benjamin has been cleared to return from a two-game absence caused by a torn meniscus. 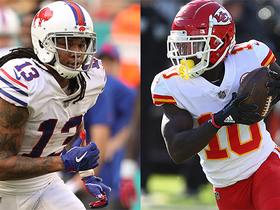 With Jordan Matthews (knee) on injured reserve, Benjamin, Zay Jones and Deonte Thompson are locked in as Buffalo's top three wideouts for a favorable matchup against an injury-ravaged Colts secondary. Benjamin (knee) practiced fully Thursday. Analysis: After being limited at Wednesday's practice, Benjamin's full session Thursday foreshadows his likely return to action Sunday against the Colts. While the Bills passing attack has been spotty this season, and QB Tyrod Taylor (knee) is banged up, Benjamin's Week 14 context includes a good matchup (the Colts have surrendered a league-high average of 271.6 passing yards per game) and an opportunity to reclaim a key role right away, with fellow wideout Jordan Matthews now on IR. Bills head coach Sean McDermott said that Benjamin (knee) would be a limited participant at Wednesday's practice, Chris Brown of the Bills' official site reports. Bills head coach Sean McDermott said Monday that Benjamin (knee) likely will return to practice this week, Mike Rodak of ESPN.com reports. Benjamin (knee) won't practice Friday and has been ruled out for Sunday's game against the Patriots, Chris Brown of the Bills' official site reports. Benjamin (knee) is not practicing again Thursday, Mike Rodak of ESPN.com reports. Analysis: Benjamin was spotted doing some work off to the side, and while that's a good sign he's getting healthier, the receiver himself said he doesn't expect to play Sunday against the Patriots. Benjamin (knee) doesn't expect to play in Sunday's game against the Patriots but does believe he'll return by the end of the season, Joe Buscaglia of WKBW.com reports. Analysis: Recovering from a torn meniscus, Benjamin has already missed one game and was limited to rehab work Wednesday while his teammates began practice for the week. Head coach Sean McDermott has been referring to the 6-foot-5 wideout as day-to-day, but it seems apparent that "week-to-week" would be the more accurate description. Week 14 against Indianapolis is a more realistic target than this Sunday, and Benjamin may have his workload scaled back once he's ready to play again. 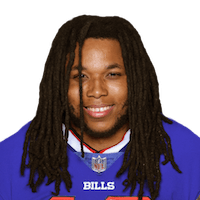 Benjamin (knee) was on the field Wednesday with his helmet on and working to the side with the Bills' training staff, Joe Buscaglia of WKBW.com reports. Analysis: Benjamin, who the team is listing as day-to-day, will still be classified as a non-participant at Wednesday's practice, but his presence on the field nonetheless amounts to a step in the right direction. While he's not expected to play Sunday against the Patriots, a return Week 14 against the Colts could be in the cards for Benjamin. In the event that he's ruled out this weekend, the Bills' wideout corps Sunday will be headed by Zay Jones, Jordan Matthews (knee) and Deonte Thompson. Benjamin (knee) will sit out practice Wednesday, Mike Rodak of ESPN.com reports. Analysis: Bills head coach Sean McDermott continues to call Benjamin day-to-day, but with reports that the wideout was dealing with a torn meniscus in his right knee having been confirmed earlier this week, it appears quite likely that Buffalo's big trade-deadline pickup will miss a second straight game Sunday versus the Patriots. Benjamin will likely need to practice in some capacity either Thursday or Friday to have a realistic shot at suiting up in Week 13. Bills coach Sean McDermott confirmed that Benjamin (knee) has a torn meniscus, saying that he misunderstood a question from the media, Mike Rodak of ESPN.com reports. Bills head coach Sean McDermott said Monday that Benjamin, who missed Sunday's game with a knee injury suffered in the Week 11 loss to the Chargers, is day-to-day, Chris Brown of the Bills' official site reports. Benjamin, who hasn't practiced all week as he deals with a knee injury, will not make the trip to Kansas City and has been ruled out for Sunday's game. Analysis: Benjamin was originally listed as questionable, but that never seemed to be more of a pipe dream since his injury looked pretty bad in the Week 11 game and he couldn't get in even a limited practice Wednesday-Friday. 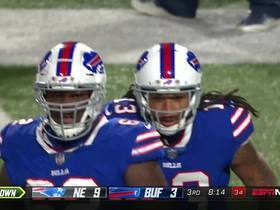 Jordan Matthews -- who's questionable with his own injury -- and rookie Zay Jones are now the top two receivers as the Bills try and upset the Chiefs and save their season from slipping away. Benjamin (knee) is listed as questionable for Sunday's game after the Chiefs after not practicing this week. Benjamin (knee) did not take part in Friday's practice, Joe Buscaglia of 7 ABC Buffalo reports. Analysis: Unless Benjamin gets some work in behind the scenes Friday he will not practice at all this week, so the chances of him taking the field this week are not good. Expect an official update on Benjamin's Week 12 status following the conclusion of Friday's session. Benjamin (knee) was listed as a non-participant on Thursday's practice report. Analysis: Back-to-back missed practice sessions cloud Benjamin's short-term status, but his outlook on that front could brighten if he is able to return to the field Friday, in any capacity. 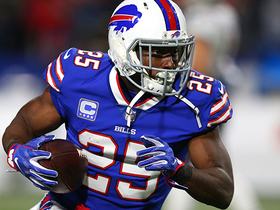 The Bills face Kansas City on the road at 1:00 ET on Sunday, which offers some options to those considering Benjamin in Week 12 fantasy lineups in the event that he morphs into a game-time decision for the contest. Bills head coach Sean McDermott said Benjamin (knee) is day-to-day and won't practice Wednesday, Vic Carucci of The Buffalo News reports. "We'll see," McDermott said, when asked if Benjamin would play Sunday against the Chiefs, according to Mike Rodak of ESPN.com. 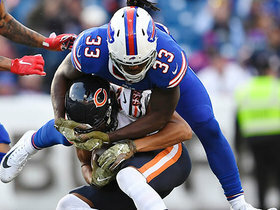 Bills head coach Sean McDermott said Monday that Benjamin didn't suffer any ligament damage to his right knee in Sunday's 54-24 loss to the Chargers, Mike Rodak of ESPN.com reports. The Bills didn't provide any details on Benjamin's knee injury after Sunday's 54-24 loss to the Chargers, Chris Brown of the Bills' official site reports. Benjamin has been ruled out for the rest of Sunday's contest against the Chargers with a right knee injury. Analysis: Benjamin was carted off to the locker room after suffering his injury early in Sunday's contest. With fellow wideout Jordan Matthews (knee) inactive, the Bills' Week 11 depth at the position is being taxed, with Zay Jones, Andre Holmes, Brandon Tate and Deonte Thompson representing the team's remaining healthy WR options. Benjamin was carted to the locker room during Sunday's road game against the Chargers with a potential right knee injury, Joe Buscaglia of 7 ABC Buffalo reports. Benjamin played 41 of a possible 48 snaps in Sunday's 47-10 loss to the Saints, catching three of six targets for 42 yards. Benjamin caught three of six targets for 42 yards during Sunday's 47-10 loss to the Saints. Analysis: Benjamin's arrival was expected to provide a boost to the Buffalo passing attack, but his debut didn't quite go as planned, with Tyrod Taylor totaling just 56 yards through the air. The big wideout led the team in targets, but he only connected with Taylor in half the balls thrown his way and finished with a middling yardage output. Benjamin should be among the team's most heavily utilized options on a weekly basis and will look to improve upon this showing next week against the Chargers. Benjamin is in line to start in his debut with the Bills on Sunday against the Saints, Ian Rapoport of NFL Network reports. Benjamin, who was inactive for Thursday's loss to the Jets, will stay in Buffalo to continue getting up to speed while the rest of his new teammates have the weekend off, Chris Brown of the Bills' official site reports. Analysis: Benjamin was somewhat of a surprise inactive for Thursday, but there's almost no way he won't be ready for Week 10, especially given the extra three days of prep time. The bigger questions are how big of a snap count the coaching staff will allow the newcomer off the bat, and how quickly he can gain a rapport with quarterback Tyrod Taylor. Benjamin, acquired in a trade with the Panthers on Tuesday, will not make his team debut Thursday against the Jets, Adam Schefter of ESPN reports via a source. Bills general manager Brandon Beane noted Wednesday afternoon that Benjamin is "50-50" to play Thursday against the Jets, Mike Rodak of ESPN.com reports. Analysis: Even if the wideout does suit up for the Bills right out of the gate following his acquisition from the Panthers on Tuesday, it's plausible that he could see limited action. Those limited snaps might include some work around the goal line, where the Bills can surely benefit from Benjamin's 6-foot-5, 245-pound frame. Following Thursday's game, Benjamin should greatly benefit from the added preparation time he'll see before Buffalo's subsequent contest Nov. 12 against the Saints. Benjamin, who was traded to the Bills on Tuesday, joined the team in New Jersey in advance of Thursday's game against the Jets, Chris Brown of the Bills' official site reports.